At Dallans Affordable Auto & Rv we have a large selection of the Eclipse Attitude Toyhauler, both fifth wheel and tongue pull. We have many floor plans in stock at the best prices! 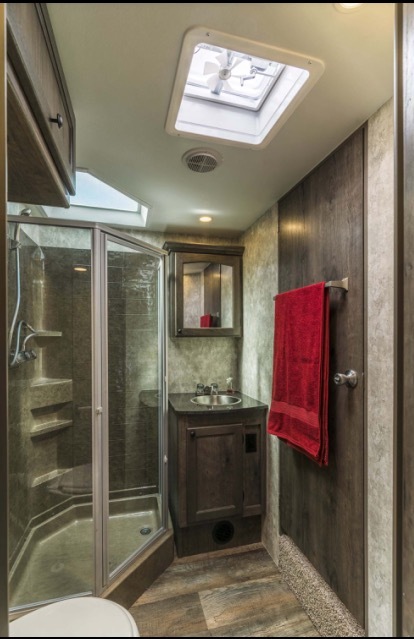 On our website in the sales tab we have several different models with proffessional interior pictures giving our customers a taste of what the Attitude toyhauler is all about! Welcome to Dallan's RV Eclipse Attitude Selection. On this page you will find a few of the most popular Attitude models and pictures to give you a taste of what the Attitude brand is all about. All models shown are a few of the floor plans that we normally have in stock. All models that we stock come fully loaded with the best options. If you have questions about a specific model that we have in stock and its options give us a call or come on over and we can show you a detailed specs sheet of how we order our Attitude Toy Haulers. If we do not happen to have the model you like in stock we can order it at anytime and customized with whatever options you desire.